A cool mystery and discovery mission, surrounded by lots of great action scenes, this movie turns out to be a lot of fun. A very fun and exciting film, this movie starts off with action right away and then gets into the mystery. There are some aspects that could have been a little more clear, like how the Germans were able to make a replica of something needed to discover the digging spot for the arc, but for the most part, this movie really works. Especially when it comes to action. The film travels from location to location and is sort of an ongoing cat and mouse chase between Indy and the Germans. The thing they are chasing after is the arc. In the second half, it switches hands over and over again, and each time, there’s a fun reason why. This movie is a blast. 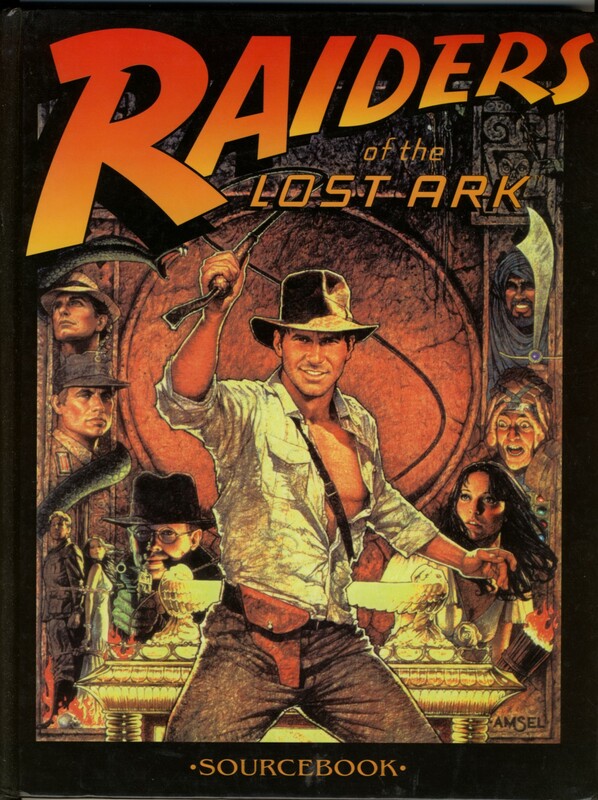 The Raiders of the Lost Ark is the first of the Indiana Jones movies, and other than Indiana Jones and The Last Crusade, it’s the best. The movie is pure adventure, from it’s jungle opening to it’s desert conclusion. There are action scenes a plenty, but the film also doesn’t forget about the mystery and supernatural elements. If the middle of the film is all action and mystery, then by the end, the movie devotes itself entirely to the spirit world and relics of magic and legend. All four Indiana Jones films really had something like this, from the black magic worshipping cult of the second film, to the knights of the crusades in the third film, to the aliens in the fourth movie. 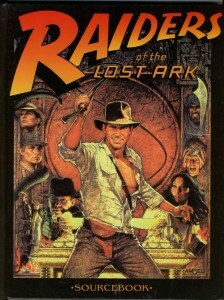 Raiders of the Lost Ark is the film that started it all. It’s also the original movie about the archaeologist / explorer/ adventure seeker, that many franchises have tried to get in on. Some of the more notable two are the Brendan Frasier Mummy films and The National Treasure movies. The Mummy movies went for the spiritual elements, whereas the National Treasure films bypassed those altogether and went only for the puzzle mystery elements. The Indiana Jones movies are the ones that really combine both of these and they do it seamlessly. These are the movies that also combined filmmaker masterminds Steven Spielberg and George Lucas. Spielberg was coming off of Jaws and Close Encounters of the Third Kind. Lucas was coming off of his Star Wars movies. And together, they hit it big with this series. The movie opens with a fantastic action sequence that really has no bearing on the plot, other than to introduce us to one of the villains. But that sequence, in a hidden cave, with the boulder, and golden head statue, is amazing. 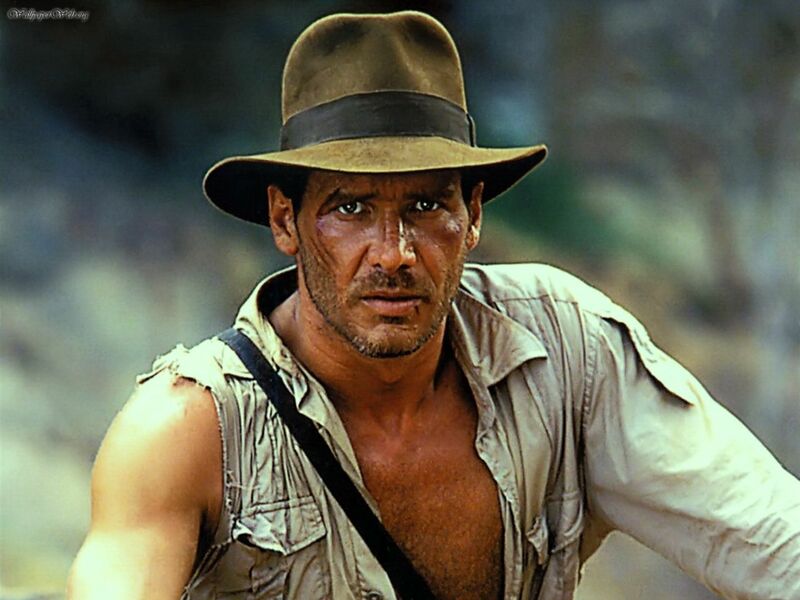 It’s the single sequence that is most memorable when referring to all of the Indiana Jones movies, still today. Jones goes in with Alfered Molina, moving swiftly through all kinds of traps. This carefully guarded location loaded with traps in the walls situation is one that became a staple of the series, appearing in each of the films that followed. In Temple of Doom it was in the middle of the movie, and in Last Crusade and Kingdom of the Crystal Skull, it came at the end. Never has it been done better than it is here. Between the spears that come out of walls, the pit you have to swing over, and the unforgetable boulder, this sequence really holds up well. It ends with an enemy competitor named Belloq stealing the statue from Jones after he has made it out of the cave and to safety. Jones barely gets away with his life, but makes an airplane getaway. And then he’s back at the university where he is a Professor teaching to a class of tired and uninterested students. Jones gets a visit from a friend, (Denholm Eliott, who will appear again in the third film,) and then goes to meet with some government agents about the possible discovery of the arc of the convenant. This is the place where the Hebrews kept the Ten Commandments after Moses brought them down from Mount Sinai. The Germans believe they might be on the right track to discovering it. They have found a place called The Map Room in Cairo, where if you have the right metal piece, you can hold it up in the air and the sun will shine down on it to reveal the location on the map that they should dig to find the convenant. The man who has this piece is an old friend, and former mentor of Jones. He has since passed on, but has given his daughter, Marion Ravenwood, the piece. Jones goes to find her in Nepal. At this point, we get our second big action scene. Marion and Jones have history together, and used to have a relationship. They ended on bad terms, and now he needs her help. Jones needs to use that head piece, which Marion possesses, and bring it to the map room in Cairo, to discover the arc before the Germans. There’s only one problem. The Germans know that Marion has the piece too, and they send some men over to get it from her. That leads to the action scene where the bar is set on fire, and we not only a shootout, but also lots of hand to hand combat. We also meet a new enemy, dressed in black, who is a torturer for the Nazis. Jones and Marian make it out of Nepal with their lives, and also with the piece, and they head to Cairo together. Marion’s reason for staying with him is that he needs to pay her for the bar which was set on fire. Maybe if he finds this arc, he will have enough money to do that. In Cairo, the two of them learn that the Germans have made a replica of the head piece that Marion has, and that Belloq is the expert leading the expedition. A bunch of men attack Indy and Marion, and she hides in a basket, only to lead to another action sequence and some chasing around. Luckily, Jones, and not Marion, now has the head piece. He and his friend, Salla, (John Rhys Davies,) get it translated to figure out how high the staff must be that this headpiece sits on when the suns rays hit it in the map room. They also figure out that the Germans replica only had one side of the headpiece.The other side, which the Germans do not have, says to take back an inch from what the previous side said. So the German’s staff is the wrong height, which means the suns rays are off, showing them the wrong spot to dig. For all of this mystery, there’s one important point that is not clearly answered, and would havemade it a lot stronger. How did the Germans get a replica? Jones asks this question, putting it in the heads of the audience, but he never figures out the answer. Later on, we see the hand of a German who set Marion’s bar on fire and who touched the head piece when it was on fire, and had it burned into his skin. This is the answer of how they got the replica, but its a lot for the audience to figure out in just a quick glance at the German’s hand. Considering that it is such an important point, this should have been made more clear. From here, Jones and Salla go to the map room themselves, figure out the location, and then find the arc. Only the adventure is really just beginning. Jones and Marion have the arc taken from them by the Germans (just like the treasure at the start of the film, which Belloq makes sure to point out.) There is a fight on a grounded plane, and then a great action scene on board a moving truck where Jones gets into the driver’s seat, then through the windshield, under the truck, dragged behind it, and eventually back into it again. This is pretty amazing. He gets the arc back from the Germans and him and Marion set sail on a ship with a captain who Salla tells to take care of them. Only the Germans catch them again, and this leads to the climax with the arc. At a certain point, this story seems kind of repetitive. Jones discovers the treasure at the beginning, the villain takes it from him. He discovers the arc, the villain takes it from him. He takes it back and boards a ship, the Germans get on the ship and take it from him. Luckily we do get some great action scenes out of it. Both the fight around the plane, and then the truck sequence were pretty fantastic. And now we have our climax. The supernatural idea of it is pretty cool, but there’s just one problem. Belloq has now completely changed his look and is nearly unrecognizable. This is a villain who has become known for his colors (an all white suit, like Blofeld in the Bond movies,) and his white hat. In the climax, he dons neither one of them, and instead is dressed like a spiritual leader, complete with a headdress and robe. Maybe a shot of him putting this outfit on or saying something about it could have helped. What does work is that by the end of the movie we have three clear villains, Belloq, the German torture expert, and the head of the German army in Cairo. All three of them stand over the arc while it opens and deal with the consequences. It makes for a cool climax to an already fantastic film. There are flaws to this movie, such as the impossiblilty of Jones really being able to get back on the truck and fight after having been dragged on the ground behind it while the truck was moving. But these things are easy to ignore, and move past. For the most part, what we have is a cool mystery with some wonderful action surrounding it. Indiana Jones and The Last Crusade is a little better simply because in that film everything easily made sense and was easy to follow, but this movie is the one that is pure desert action and spiritual ghosts and adventure at its finest.